Marriott Courtyard Operations manager uses a custom LearnBolt Knowledge Mining rig to capture high quality content. Spring has sprung and LearnBolt continues to help businesses plant the seeds of knowledge. 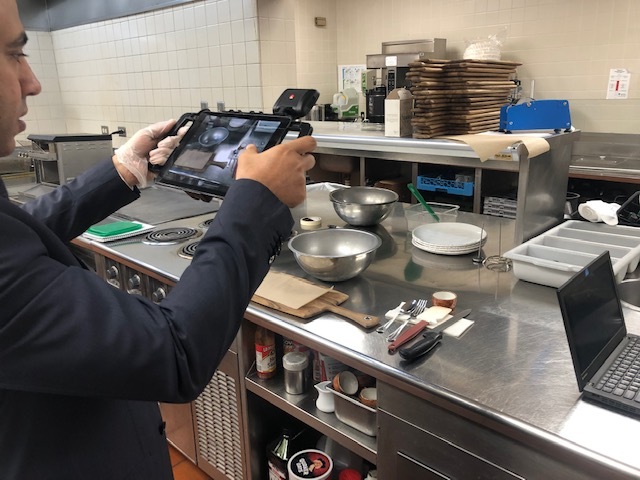 LearnBolt Recently spent time in the Chicago area at Marriott Courtyard helping operation managers to document procedures in just a few minutes. LearnBolt’s ease of use make it simple to capture videos, images, audio and import documents directly into the cloud-based platform. The hospitality industry has one of the highest turn over rates and having the ability to quickly collect and share unique processes in bite-sized chunks is a big win for maintaining quality and consistency. Learn Bolt’s nimble platform puts the managers in the driver seat with the power to push and pull unique Learn Paths or Library’s of content to employee’s in seconds. In today’s mobile world, having source knowledge at the finger tips of a workforce is not just nice but becoming an expectation of the millennial generation. This blog discusses how AssuredTelematics partners with LearnBolt to rollout innovative mobile training to trucking fleets nationwide.